Tania Faulds, Ocularist | Ocular Prosthetics, Inc.
Ocular Prosthetics, Inc. is pleased to have expert ocularist Tania Faulds B.C.O., B.A.D.O., on our team. She is a Board Certified Ocularist who began her rigorous training with Stephen Haddad in 1998. Tania, who became board certified by the American Society of Ocularists in 2006, brings a broad spectrum of prosthetic eye services to her patients. Tania Faulds is a Los Angeles ocularist who has proven success in the expansion of contracted eye sockets, as well as fitting cases following retinoblastoma. Since joining Ocular Prosthetics, Inc. Tania has helped fit over 500 retinoblastoma survivors of all ages with her mastery of prosthetic eye fitting techniques for children. Tania has equally proven success in the fitting of prosthetic eyes for adults, including cosmetic scleral cover shells and peg attachment cases for the porous Medpor and Hydroxyapatite Orbital Implant. Tania Faulds regularly attends Ophthalmology meetings in Los Angeles, as well as biannual national meetings held by the American Society of Ocularists. Tania Faulds is also proud to be one of the few spanish speaking ocularists in the nation. Her ability to communicate with Spanish speaking patients only helps to enrich their patient experience. 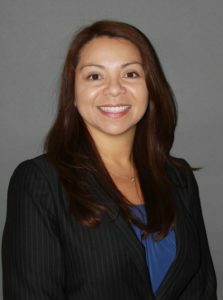 Tania is available to see patients in the Los Angeles, Orange, and Torrance office locations. Special arrangements can be made to accommodate patients traveling from long distances to complete the prosthesis in one day. To schedule an appointment, please fill out the form on the Request Appointment page.